Our systems are designed to perform in a variety of applications without failure. Polypropylene is one of the most reliable piping materials in the world, and our decades of research and engineering have made it even more dependable. With aquatherm, piping systems last for over 60 years with no scaling, rust, or chemical deterioration. The many innovations built into aquatherm systems are our guarantee of reliability and performance in the long term. aquatherm’s Fusiolen PP-R, the base material for our pipes and fittings, has an optimized melt index for heat fusion, greatly improving the consistency of fused connections. 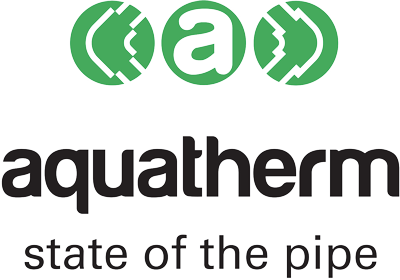 aquatherm has added heat stabilizers in its PP-R, protecting pipes and fittings from temporary temperature spikes, even above boiling. That way, even if mechanical equipment malfunctions, piping systems continue working as designed. aquatherm checks and double-checks the quality of its products at every step of production, from the raw PP-R to the finished products to make sure there’s never a bad pipe or fitting. And if there is one, our 10-year warranty not only covers replacement of defectively manufactured parts, but also covers any incidental damage and personal injury those parts may have caused. Now that’s something to rely on.